I began my blog without doing any research. what I was even supposed to do. and continue to learn something new almost every day. and make the most out of a hobby or business we love. because, well, I am not qualified to give those for sure! I am accepting ideas (and organization too). But I do have some other ideas. Back in January I shared these tips for Bloggers over at LinkyHere.com. and see what else you all think is important. 1. Be who you want to be – if you want to cook one day, craft another, and write a creative story another day, do it. It is your blog and you have to own it and love it. Some will tell you to find a niche, and that is OK too. For me personally I love to cook, and write and craft and I want to share it all. 2. Your blog will evolve naturally. My own blog made all sorts of twists and turns before it ended up what it is…and there are more changes in store. Let your blog and you passion for whatever it is you do evolve. This shines through in your posts and makes your blog authentic. Authenticity is HUGE for me when reading a blog. 3. Make it and keep it fun. Don’t (or try not to) overload on the blogs (I did early on and then took breaks)..social media is all consuming these days – you may even find yourself wondering “when is enough enough.” Blogging can evolve into a business or it can stay a passion or it can be both. Everyday there is a new social media outlet to master and someone telling you "you have to do it." You don't..pick the social media outlets you feel comfortable with and enjoy! FYI - I am currently in the overload mode - it happens. I spend hours and hours working on projects and posts...and sometimes you just loose that mojo a bit. 4. 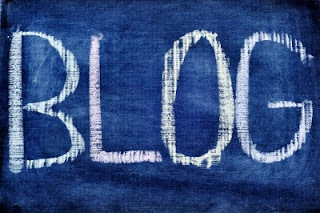 Your blog is YOURS! If you do not want sponsors, don’t do it…if you do not want giveaways, don’t do it. All of these things will change your blog and take it from a hobby to a business. I originally told myself "no ads," "no sponsors," but I changed my mind. I spend a lot of time and money on my projects and my blog, and eventually the light bulb went off (it was about 1.5 years into it), that I can run ads and help make my blog self-supporting. I try to keep any sponsored posts relevant to the content on my blog and have turned down many offers. Trust your self and your judgment. Ads and sponsors are not for everyone, and that is OK too. 6. Don’t publish ANYTHING that you don’t want copied or out there for life. It may be your idea, but once you publish it, everyone can see it and knock it off, etc. Also, be wary of writing negative things or embarrassing things about kids, spouses, etc. It does not go away just because you delete it. What you write can affect a lot of people, both positively and negatively. It may be your blog, but you can hurt other people. 8. If you choose to have sponsors and work with brands, be respectful and true to the brand. I am not saying you need to lie or make things up...but I am saying you need to use the product correctly and follow guidelines set forth by the brand. For example, would you expect white paint to cover a red wall in one coat perfectly? I would not. So, don't do it and then say the paint is crappy. Get it? 9. Word verification is awful and the new word verification is the spawn of the devil for sure. 2 squirrely nonsensical words...really!?! I get very few spam comments, and usually they are on older posts. Michelle at So Wonderful, So Marvelous (I hope I got the right person...I asked this question on FB so long ago and cannot find the post) suggested on facebook to add comment moderation on posts older than 14 days because most spam happens on older posts. 10. Even if you do not want to be a blogging powerhouse, fill out your profile, have an avatar, and link your blog and email to all of your social media. People want to find you and know who you are...make it easy for them. I asked these question on Facebook and got AMAZING ANSWERS! They need to be shared! I will work on that asap! but I do want t know what you think. What do you have to add to the list? Good list. I like the idea of moderation for older comments (spam). I get plenty! Just reposted this on my facebook biz page. Thanks! I am your avid reader awhile ago and I found your blog educational and fair to every bloggers. Anyways, I am not a famous blogger but suddenly with a 101 followers was not in my wildest dream. Who am I? I asked myself. But, I guess, my thoughtfulness and honesty can be seen the way I am postings and they way I visit back. Thank you so much for list and tips for us blogger's (at least me). GB and hope you have a great mid-week. Great advice, here. I have lost a bit of my passion for blogging, and I'm pretty sure it's because I started worrying about what folks might to read rather than just saying what I wanted to say. I have done this too...and only find that passion again when I get my head back on straight and blog for me and from my heart. Holly this is great advice for us bloggers! Sometimes I say to myself wow people really like my healthy treats, to my amazement :-) One day I had 11 followers and 2 months later I have 103 and other that follow through email. Great advice Holly - and I agree so much. I liked the tip about adding comment moderation for posts after 14 days - that's so true that spammers get the older posts! I've just liked you on Facebook too, I'm curious as to what everyone else said! These are great tips, Holly! I think #6 is something people need to especially be aware of. Once you put something on the web its going to be out there for anyone to "borrow" no matter what conditions and copyrights you have on it. I would add that all bloggers should have a search function on their blog. Its an easy widget to add and not only can it keep people looking around on your blog, it will keep people coming back when they know they can use it to find what they are looking for! The blogger search box was awful for awhile (no matter what I searched for on my own blog it told me it was not there) but they seem to have gotten their act together! I have seen so many blogs without search buttons or archives...yikes! Bravo! I agree with everything you have said! Love this post & like you even more after reading it. ;) Thank you for writing this. I'm sure it will be helpful to many bloggers. I want to share a quote from Jon Acuff he shared with us at Blissdom, "Never compare someone else's middle to your beginning." I love that! It is true for more than just blogging. Have a beautiful day! These are excellent tips, Holly. Thank you! Amen and I second every thing you said. ESP #9. If I could say one thing to bloggers, it would by, WHY, WHY, WHY????? Do you have that word verification thing?????? Do you not want people to leave you comments? I don't have time to stick around and scrunch my 40+ eyes at the screen trying to figure out what the heck the code is, only to get it wrong and type it again. And, Oh Holy Cow, don't get me started on the music. The second I hear that, I close the blog immediately and NEVER come back. It seems obvious, these rules, but some people need a gentle reminder. Going to repost this everywhere!! Music, word verification, black backgrounds, come enter my giveaway...flashing lights...I was going to redo my blog. Great advice Holly. Yeah, #9 is an essential for folks just starting out. It sure slows the blog reading down. Thanks for the tips! I really appreciate you putting together this list! You know how I feel about #9. We will prevail. LOL. Terrific advice! And honestly, word verification IS the devil. End of story. Thanks for this advice, Holly! I'm fairly new at this and just trying to have fun and blog as a hobby. But I do want to persue and practice being a curteous blogger! I appreciate your list, Holly. As a fairly new blogger, I'm always eager to hear what successful, seasoned bloggers have to offer in the name of advice...thanks. I have one rule.....Write a blog that you would like to read. Thank you so much for sharing this. Love this list especially #1. 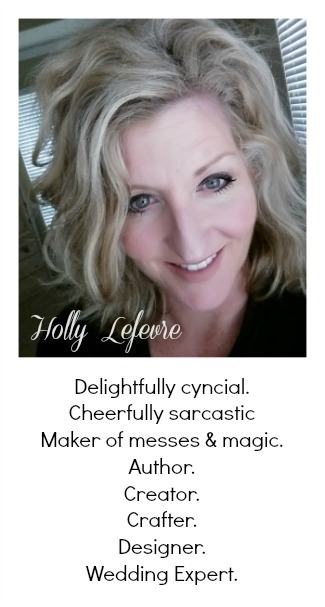 Great tips Holly, I am fairly new to this and still finding my way but I love tip #1 because I am a bit eclectic in everything I do, and number #9 because word verification is awful and evil and hurts my eyes. Thanks again for the tips. Thank you for sharing Holly! Just what I needed this morning! Great tips, Holly, I agree with everything you said. What is it they say about great minds????? ;o) Hope you have a great day! Great list! I totally agree with number one. And number nine cracked me up. I hate that new word verification! No offense but the ads at the bottom of blogs I find are distracting and annoying. Thank you so much for this post! I'm trying to grow my blog and trying to decide which directions to take, so your tips really helped me work a few out. Thanks for sharing your expertise!!! Awesome advice, Holly! Thanks for sharing! Yep, that was me, on Blogger you can set the comment moderation on whatever number of days you'd like. Mine happens to be 14 days, but you could make it longer if you'd like. My high SEO & Google top 10 posts are always the ones getting hit with spam. I would also say to take music off! I know it's your blog, but it slows the page load and everyone has different tastes in music. Plus, how are you supposed to be sly checking blogs at work?? Cheers to this my friend! Great post Holly. Thanks for popping over today. Always nice to see you. What a great post...this really helped me this morning! I totally appreciate it! Great tips. I love your blog and appreciate you taking the time to share tips with us. I would love to grow my bologna leadership and need to work on that. Thanks Holly! I really needed to hear those things! Holly! These are fantastic tips and things that I've learned slowly over the past few years I've been blogging. Today I write three blogs and I'm still learning. One thing that comes up over and over (which you mentioned) is that they are MY BLOGS. I work with affiliates who will call, wondering why I'm not doing more to promote their products. If I feel pressured, I drop the affiliate, because I'm not going to be pressured into turning my blog from a fun place for my followers to a sales page for their products. Good Morning Holly! Wow, I totally needed to read this! I really appreciate you being true and honest by providing your very helpful tips and suggestions. Just LOVE your blog, thanks for being so great! Cheers! This is the best post I have ever read on blogging and how-to (and how not to). THANK YOU! I have just started blogging, again. And so I really am glad I read this. ps. feel no pressure to comment back to me. I don't care! In fact, I HATE "having" to comment on people's comments...not because I don't WANT to, I do, but because, like you said, OH MY does it take a lot of time! And I have two kids and no time! ps. you're right. comment verification is the devil. I don't know what's wrong with me, but I inevitably get it wrong! This is a wonderful blog post, Holly. I found it on your Pinterest page and I'm a huge fan! Simple advice for all of us trying to navigate the blogosphere ..... thanks for sharing your tips and thoughts. Stop by my blog, Three 31, for some front-porch sittin' and sweet tea drinkin'. Gave this post a shout out! Excellent tips Holly! It is so true to be yourself and blog when you want to. Sometimes, less is more. I would be interested in any new things you have to say on this subject. Thank you for being a follower on my blog. I'm honored. Debbie from MakeItDelightful.blogspot.com. Great Post Holly. I wish everyone used common sense. Thanks so much Holly! I value your honesty and your opinion. Thanks for sharing exactly what I needed to hear today :) I still have so much to learn!!! !